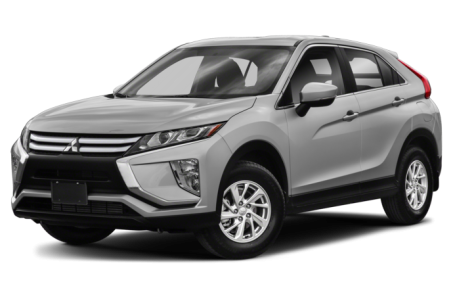 The 2019 Mitsubishi Eclipse Cross is a compact SUV that seats five passengers. Maximum cargo capacity is 48.9 cubic feet with the rear seat folded down. Four trims are available: ES, LE, SE, and SEL. It is powered by a standard 152-hp, turbocharged 1.5-liter four-cylinder engine mated to a continuously variable transmission. Front-wheel drive comes standard, while all-wheel drive is available. Three driver-selectable modes are included (Auto, Snow and Gravel) that alter the system's responsiveness. Fuel economy for the Eclipse Cross is an EPA-estimated rating of 26/29 mpg city/highway.